Curtiss P-40E "Warhawk" with "Aleutian Tiger" markings of the United States Army Air Corps 11th Air Force, 28th Composite Group, 11th Fighter Squadron. Commanded by USAAC Major Jack Chennault, the 11th Fighter Squadron arrived in Anchorage, Alaska in January 1942. A secret airfield was built on the island of Umnak near the strategic base at Dutch Harbor, and on June 2-3, 1942, Mitsubishi A6M2 Zero-Sen fighters and Aichi D3A Type 99 dive bombers began bombing both the airfield and Dutch Harbor. 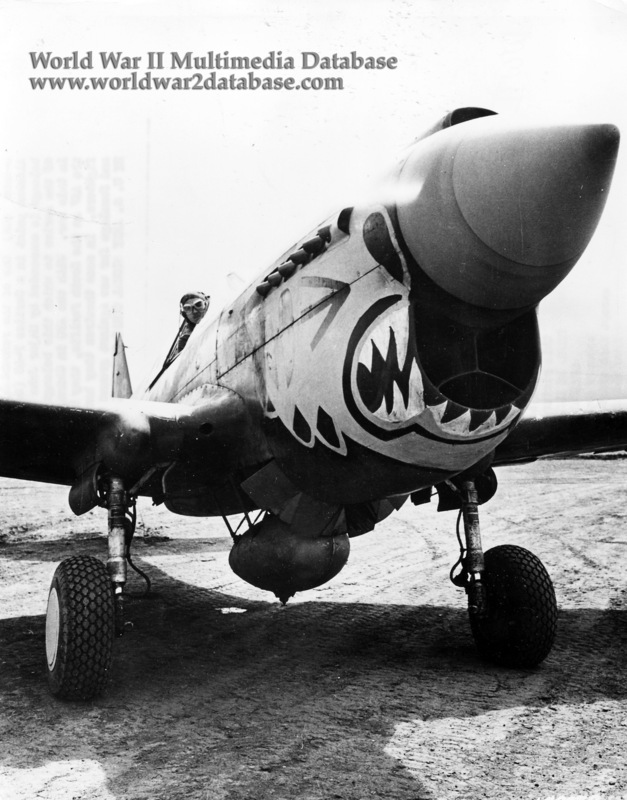 11th Fighter Squadron P-40Es rose to meet the invaders, and shot down five Japanese aircraft. One was recovered almost intact and provided the Allies with important technical information about the Japanese Zero.